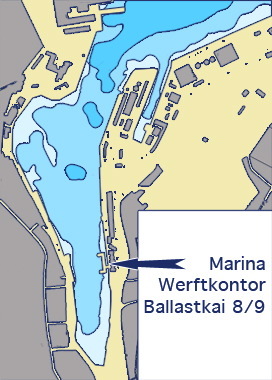 The marina is located at Flensburgs eastbank. 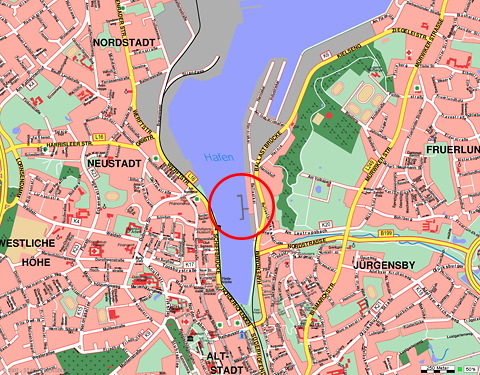 It is directly placed at the “Werftkontors” waterfront right beneath the Flensburger “Volkspark” – a public park. The picturesque old-town with its beautiful old merchant courtyards, churches, museums and all necessary shopping facilities are to be reached after a short walking distance. 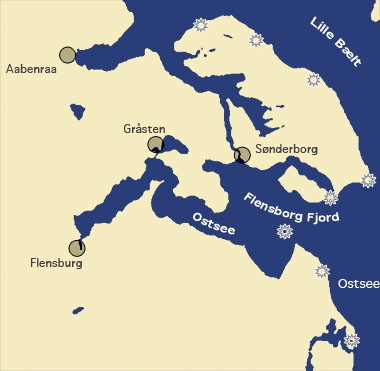 Also the “Flensburger Yacht Service” is reached after a short walking distance and will supply you with all necessary equipment around boating. Two high standard restaurants are located directly at the marina.